The Management Consulting Institute (MCI) can trace its roots back to Arthur D. Little and the Monitor Group. As a non-profit entity, MCI was established to provide professionals and students with the tools required to achieve business excellence and at the same time provide companies with another source of well-trained, world-class professionals. MCI was founded in 2011 and board members include Directors and Partners from the top Management Consulting Firms such as Accenture, Arthur D. Little, Bain&Co, KPMG, McKinsey, and academics. From the 1950s onward, consultancies not only expanded their activities considerably in the United States but also opened offices in Europe and later in Asia and South America. After World War II, a number of new management consulting firms formed, bringing a rigorous and analytical approach to the study of management and strategy. Work done at McKinsey, BCG, Booz Allen Hamilton, and the Harvard Business School during the 1960s and 1970s developed the tools and approaches that would define the new field of strategic management, setting the groundwork for many consulting firms to follow. By this time, the growth and complexity of large industrial organizations in the US created a market for professional firms of engineers, accountants and lawyers who offered independent counsel. Organizations needed advice but did not need a full-time employee on staff. Some of the first “management engineering” companies then started to emerge, including companies like Price Waterhouse Coopers, Arthur Andersen, Booz Allen Hamilton and McKinsey. 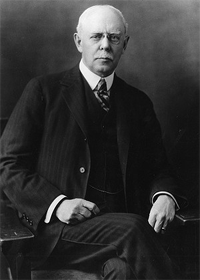 The first consulting firm was founded by Arthur D. Little, a professor from MIT, who named the company after himself. 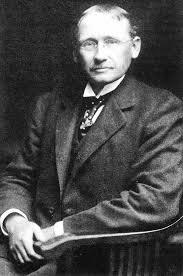 Initially, Arthur D. Little specialized in science, engineering and invention. Frederick Taylor then took his emerging theory of Scientific Management and became a management consultant, performing time and motion studies to improve manufacturing processes.